Welcome to Sheppard Volkswagen, your full-service used Volkswagen dealership in Eugene, Oregon. Our pre-owned car lot has an amazing selection of used Volkswagen vehicles for sale, including a lineup of like-new certified pre-owned bargains. View our used model inventory for clearance prices on a quality pre-owned Jetta, beautifully engineered inside it out with a refined cabin and a quiet ride on the highway. A pre-owned Volkswagen Golf hatchback packs all the gear and is quick to accelerate, while a used Volkswagen Tiguan is the perfect crossover for town and country. Our Eugene, OR used Volkswagen dealership is proud to offer certified pre-owned cars for sale, including the sleek and practical Volkswagen Jetta SportWagen, with its elegant interior, impressive tech, and all the cargo space. Visit our used car dealership today for a test drive! Find a used Volkswagen model at your local Eugene, OR Volkswagen dealership. Visit our Eugene, OR used Volkswagen dealership to discover an extensive lineup of pre-owned Volkswagen vehicles for sale. Our certified pre-owned inventory inspires drivers to go with confidence, thanks to a 100+ point dealer inspection, comprehensive limited warranty, vehicle history report, and 24-hour roadside assistance. At Sheppard Volkswagen, we price our models competitively so you can save money. We stand behind every one of our used cars for sale and are at your service with expert Volkswagen maintenance and auto repair to keep your used Volkswagen Beetle in showroom shape for miles to come. Browse inventory to find your ideal Volkswagen vehicle for less, and contact our pre-owned Volkswagen dealership to schedule a test drive. 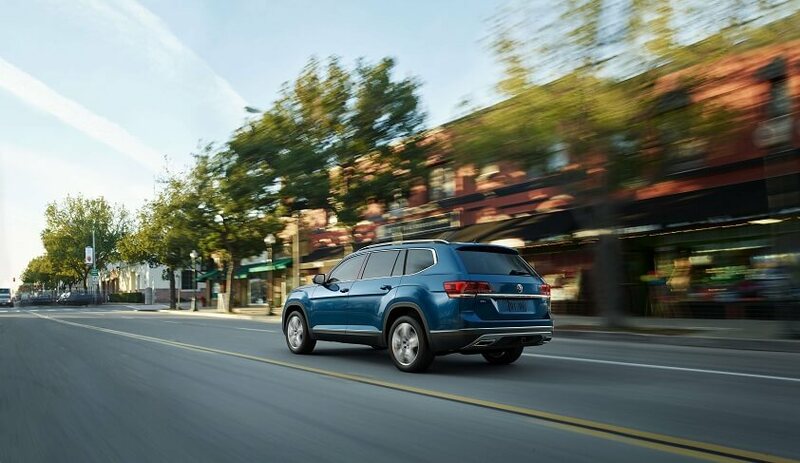 Explore a complete inventory of genuine Volkswagen parts and accessories at Sheppard Volkswagen, and customize your Volkswagen Atlas to your vision. Authentic Volkswagen parts are guaranteed to fit like a glove and perform as the manufacturer intended, which is to say, perfectly. From custom wheels and chrome accents to all-weather mats and cargo racks, we have the parts and accessories to equip you for your adventure. Stop by our Eugene, OR Volkswagen parts department today to shop our inventory of premium Volkswagen parts and car accessories!